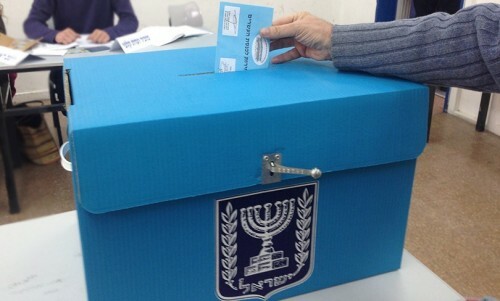 Israel is gearing up for elections in April. From the coverage we’ve witnessed so far, it seems public and media attention has been largely focused on the splits, mergers, and re-branding occurring across the political spectrum, and on the electoral implications of the corruption allegations against PM Netanyahu. Amidst this complex and rather chaotic process of political aligning and re-aligning, it seems that the actual issues risk being pushed to the periphery of the discourse surrounding the election. There have traditionally been two schools of thought when it comes to priorities in Israeli politics. There are those who prioritise socio-economic issues and there are those who emphasise security/foreign policy issues (in the context of the Israeli-Palestinian conflict). In this election season, we are witnessing more people speak about the strength of Israel’s democracy, as a central issue. This comes in the wake of the passage of controversial laws that undermine the principle of equality — like the Nation-State Law — and other legislative efforts to suppress minority communities and restrict the freedom to dissent. Of course, NIF is not directly involved in the elections. Nor do we support any particular political party. However, it is becoming clear that our priorities and concerns as an organisation lie at the heart of the current debate on many of these issues; from democracy and human rights, to poverty and religious freedom. Our staff and grantees on the ground in Israel are working tirelessly to ensure that our values and concerns are on the agenda in this election. We will be following events closely to understand what the elections mean for the future of Israel, and, regardless of the outcome, will remain committed to our core work, supporting Israel’s civil society and developing the next generation of leaders ready to stand up for democracy, equality and human rights. Whatever the results of the election, be assured our long-term work on the ground in Israel will continue. Here in the UK, in the run-up to the elections, we are going to be running events and developing resources to help us all better understand the ramifications of the elections and the possible results for the issues that NIF works on, and the values we represent. We will be sending out details in the next few weeks (feel free to register interest now).